Looking for a property in Rancharda? Have a property in Rancharda? Have a good knowledge of Rancharda? Share it and become a Locality expert. N.A. 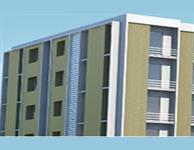 title clear plot for sale in Tulip Chalets, Rancharda, Ahmedabad.